& Clients Worldwide Since 1978! We are the ORIGINAL Entertainment Express in California. Live from the VBS Simcha Faire! Alana, Belinda, & Joe demand "Respect!" Novelty Entertainers, Disc Jockeys, Bands, Music, Celebrity Impersonators, Singing Telegrams, Theme Party Ideas, Decorations & Theme Props, Balloons, Centerpieces, Lighting Design, Carnival Games, Amusements, Casino Rentals, Stage Shows & Vegas Style Entertainment Packages and much more! 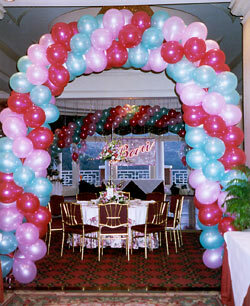 PARTY PLANNING SERVICES FOR ALL EVENTS! Picnics, Corporate Events, Team Building, Anniversary Parties, Luaus, Barbecues, Carnivals, Reunions, Proms, Frat Parties, Conventions, Tenant Appreciation Parties, Broker Open Houses,and Grand Openings. We are party planners and bar mitzvah specialists who work directly with our own clients or we will work with your party planner to provide disc jockeys, bands, musicians, casino equipment, entertainers, impersonators, games, decorations or other party services for your bar mitzvah, bat mitzvah, or any special event. 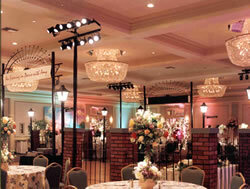 will guide you through your party planning experience with a stress free approach. We'll offer you creative ideas and assist you with the details of your event whether it's just one entertainer or an entire gala! Try us, you'll be glad you did. Alana's Entertainment Express is the first and original Entertainment Express established in California in 1978. We have a long standing relationship for providing customized service to our clients and welcome inquiries from other entertainment companies, agents, party planners, wedding consultants, bar mitzvah coordinators, caterers,florists, destination management companies, meeting and event professionals and venues.